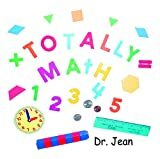 Totally Math Dr. Jean ????&??? Products with UPC 639441046126 were listed on the following websites. Product prices are accurate as of the date/time indicated and are subject to change.